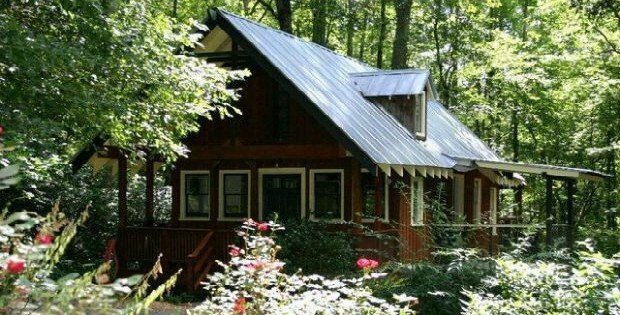 If we have anything in common, it’s that you can’t deny your ultimate fantasy of having a rustic little abode amidst forest and nature. 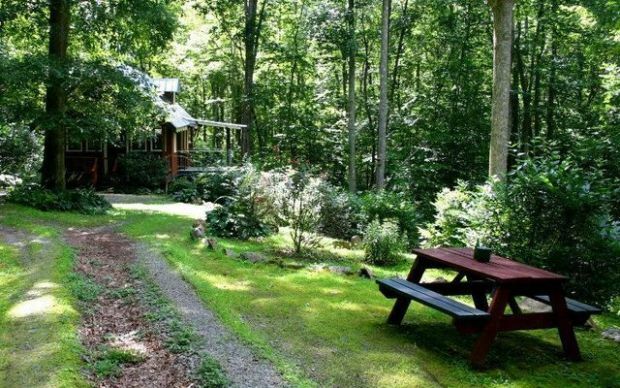 This heavenly chic cottage located on 2 acres in Brasstown, NC is up for sale by the owner who built it herself, for herself, and is now looking for its new owner. 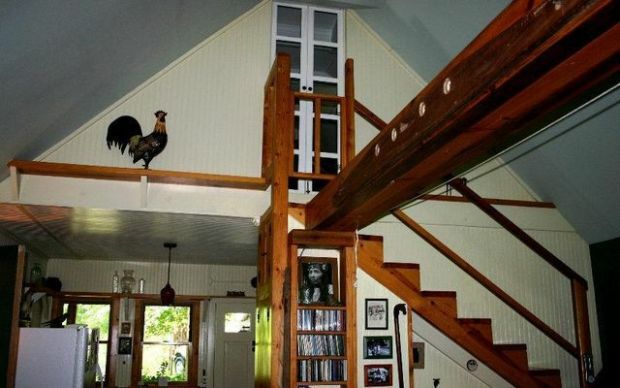 To all of you cabin-obsessed folks reading this now, this country style cottage is a golden chance to make your dream come true. The asking price, you may wonder? $120,000. 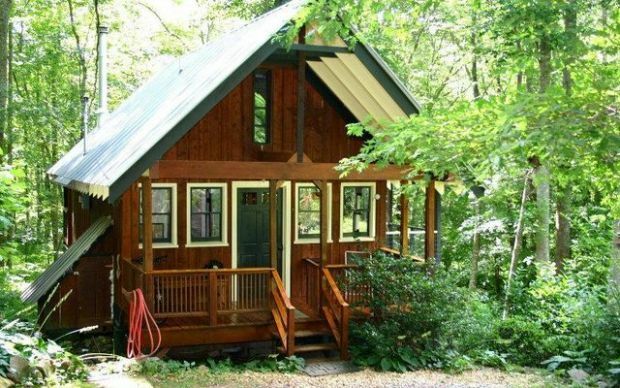 One of the original “tiny” houses offers charm and character in lovely Brasstown, NC plus minimal utility costs. The setting reminds one of a remote English countryside with the lovely green moss as you enter the property. 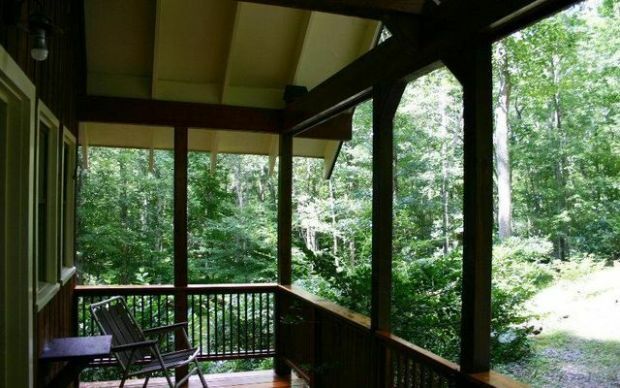 There is ultimate privacy, great garden potential, and the trickling sounds of a nearby creek.